Total 4 Accessory Matched, Showing 1 - 4 (1 Pages). 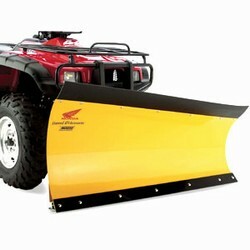 Formed from 11-gauge steel, plow blade has a curved design that provides better snow/dirt roll-off at any angle. Our standard 50 blade clears a 44 1/2 path when angled and our 60 blade clears 53 1/2 path when angled. 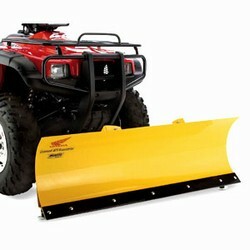 Rubber plow flap is sold separately. 1700-lb. 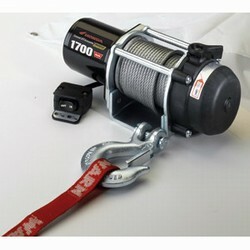 capacity winch features a freewheel clutch and 50 feet of 5/32 cable. Power interrupt solenoid prevents operation with key in off position. Comes with protective boots for all terminals and a cable hook strap. Also includes a Warn mini switch. Three compartments with padded 1/2 closed cell foam throughout. Two 20oz. Insulated water bottle holders. Interior is lined with black nylon and seams are reinforced with seam tape. 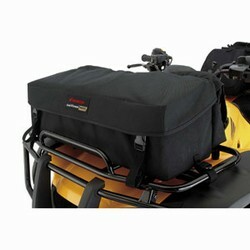 Made from weather-resistant, 600 denier polyester fabric with double polyurethane waterproof coating. Fits all Honda 350cc to 650cc utility ATVs.